We all know how important keywords are – they’re the foundation of SEO and one of the major considerations in people’s minds when they’re trying to find a website that meets their needs. However, you’re not going to attract visitors if you just throw keywords into a document to try and rank for them. If you truly want to succeed online, you need to do your homework and research… and here, we’re going to show you exactly how to do that. Your first task is to discover keywords that you might be able to use. This part is not about whittling your list down into something usable – that comes later. 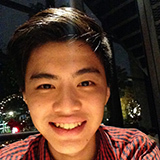 Just start by trying to gather as many terms and topics that you can write about. A good way to start is to focus on related searches – that is, to take one topic or idea and see how many similar searches you can find. This often involves getting long-tail keywords off of a basic phrase (and that’s good), and many keywords can be turned into dozens of potential topics. If you’d like to make this easier on yourself, try a tool like LSIGraph – just inputting a word or phrase can produce literally dozens of keywords and topics you can use. Yes, it’s that easy to build up a list. Just as a test, we input the word “boat” while writing this guide and got several dozen appropriate results. 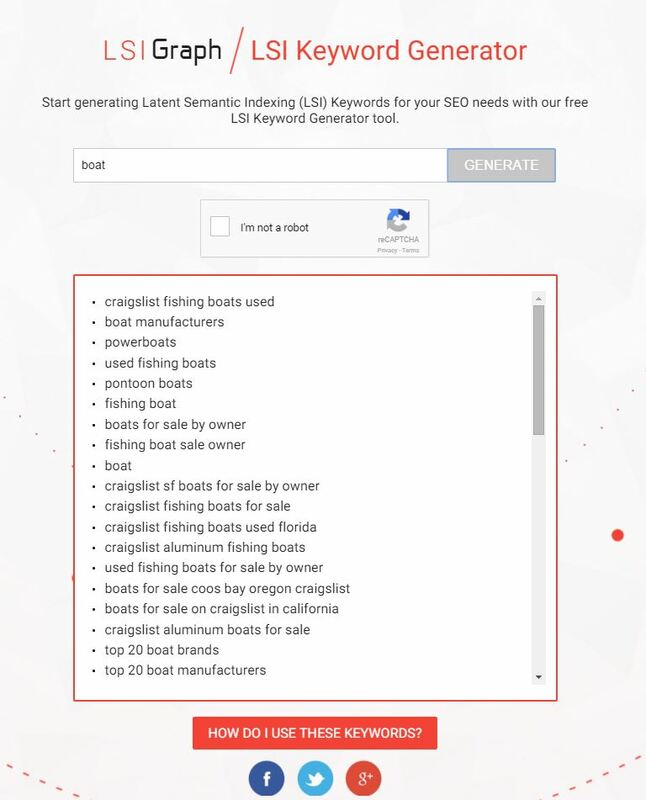 We used the same phrase with Ubersuggest, another tool for discovering keywords. Ubersuggest organizes concepts alphabetically and allows for emphasis on different channels (news, shopping, etc.) – very useful once you get the name of it, and since more results can be generated for anything it comes up with, you can quickly come up with hundreds of ideas. Basically, what it all comes down to is this: Discovering keywords is not hard. If you don’t know what else you can write about, tools like these can literally give you hundreds of options, so you don’t need to worry that you’re going to run out of things to write about anytime soon. Of course, not every keyword is a good one to try and rank for… and that’s why the other two steps of the research process are so important. SEMRush: This market research tool is viable for both SEO and PPC campaigns – an important distinction that you’ll need to keep in mind, by the way, because what’s appropriate for one of these searches isn’t always appropriate for the other. The main research feature of this program shows you “tried and true” keywords that others companies have used to successfully rank. 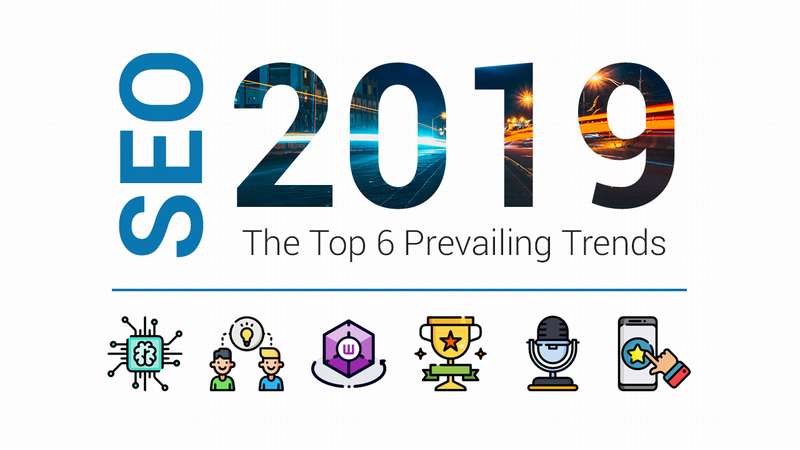 Now, at first glance, you might be hesitant to invest in that – if someone else is already ranking highly in a given category, then yes, you’ll have a harder time rising to prominence there. On the other hand, it’s entirely possible for multiple companies to succeed with the same phrases and keywords – and more importantly, SEMRush shows you a probable cost for each term if you’re doing PPC. This allows you to compete on phrases that you have the budget for, and not waste your time or money anywhere else. 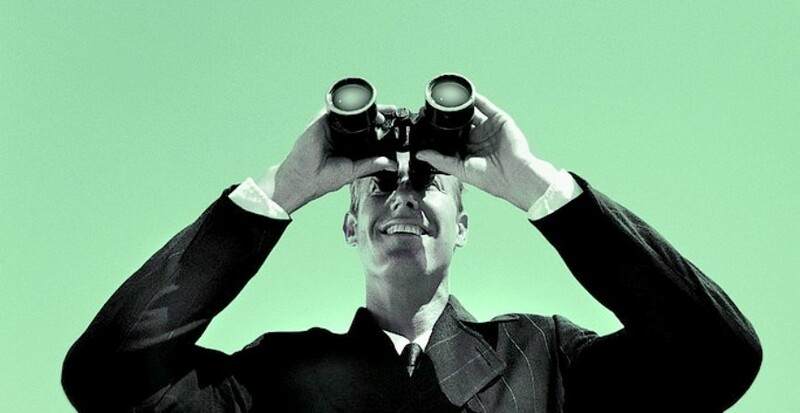 SpyFu: This is another research tool – and as you might have guessed from the name, it’s specifically built to help you analyze your competitors and see what’s been working for them. Yes, that does make it similar to SEMRush… and since we’re on the topic of keyword research, you might be wondering how the focus on your competitors is going to help you. It’s fairly simple, actually: Past behavior is a relatively good measure of future behavior. We don’t just want to know how a given keyword is currently performing, we want to know how it’s performed in the past. If there’s a slow, steady decline in interest, then even if the keyword is good now, it may not be relevant enough in the future to actually be worth the investment. Conversely, if phrases stay relatively even in popularity or have been growing, they’re probably worth investing in. SpyFu is about uncovering successful strategies and using those as a starting point to launch your campaign. For each keyword you’re using, check the overall search volume. A low volume is not necessarily a bad thing. Long-tail keywords comprise about 70% of all searches made on the web, and people who make them are often more inclined to buy than someone making a basic search. How many people are already competing for a given keyword? It may be fewer than you think, especially once you move away from the most popular terms, simply because even larger companies have a tough time ranking for hundreds or thousands of potential searches. 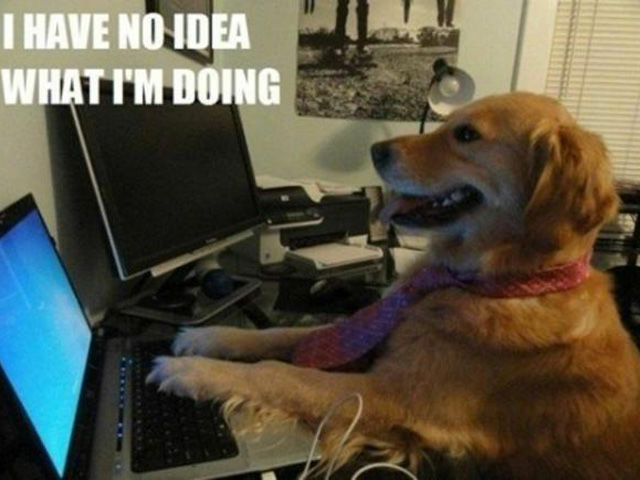 How probable is it that you’ll actually get a customer when you rank on a specific keyword? 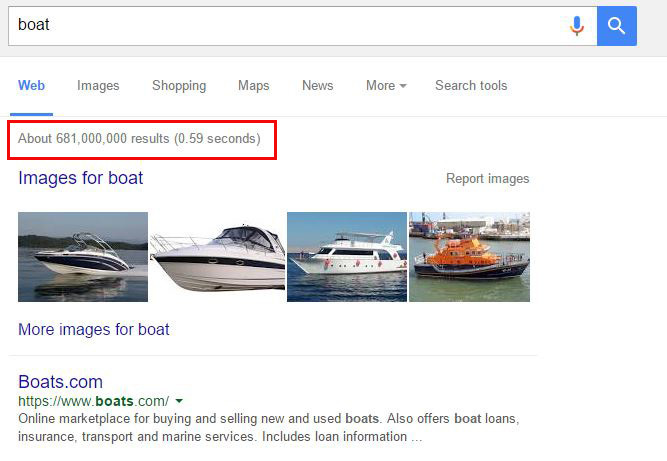 The value of a given search is, in the end, its likelihood of someone actually buying from you. Sometimes words have no competition because they’re not actually associated with people who want to buy something, and you want to carefully avoid keywords like those. 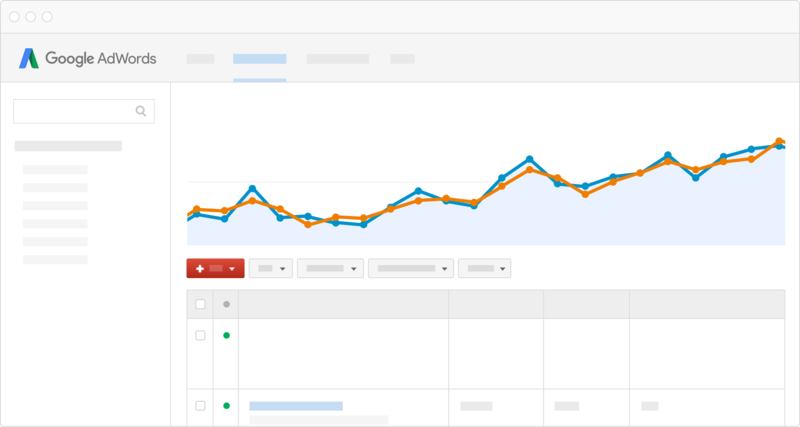 While you’re at it, check how well the term is doing on AdWords. Note that this program is about paid ads that are placed separately from organic search results. 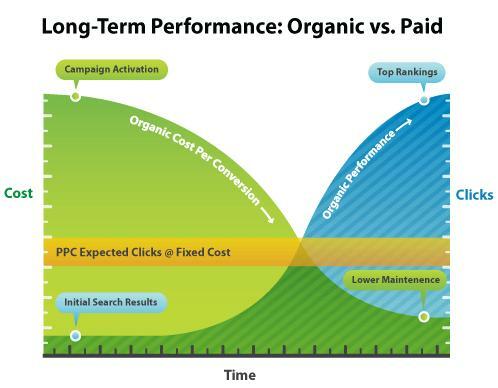 What’s good for PPC isn’t necessarily good for SEO. However, this is a fairly good way to tell how many people are truly interested in buying when searching with a given phrase. 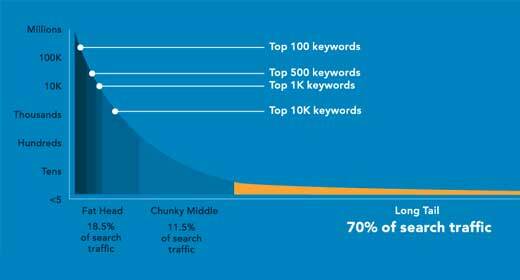 For most companies, the ideal keywords are long-tail keywords with decent volume and little or no competition. Outside of keywords with brand names in them – which are a special corner case – long-tail keywords are almost universally easier to rank for than shorter, more popular terms. You’re far more likely to succeed if you do well on these terms. Deciding between short tail and long tail keyword is a tricky one and deserve an entire post for this. You can read our post on short tail vs long tail keyword here. Short tail keywords are keyword that are 3 words or less, and long tail keywords are keywords that are longer than 3 words. Generally, you should focus your efforts on long tail keywords since they have lower competition, lower PPC ad cost, and higher conversion rates. The only downside to it is that it has low search volume. 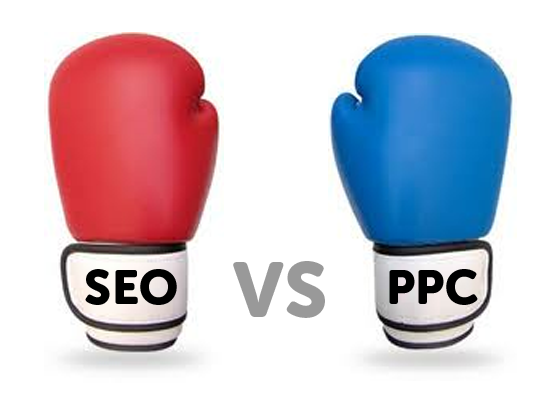 Both of these options are viable for companies, though as a long-term strategy, SEO is ultimately the better choice. However, you may want to consider doing both for awhile – start with PPC ads linked to landing pages, and use the profit from those campaigns to invest into SEO. As a long-term strategy, SEO is ultimately the better choice. Once this gets up and running, you could continue doing it and essentially make your SEO pay for itself. Never, ever forget what a given keyword might mean to a customer. Some searches are popular but aren’t done by people who want to buy a product, and that means there’s not much value in ranking for them. Similarly, keywords with certain indicators – like the word “price” – often mean that the searchers are more willing to buy. In short, don’t try to rank for a keyword until you know why people are using it. Machines aren’t always very good at figuring this out, so don’t rely solely on the data produced by the tools above. If you don’t know enough about a topic to write on it as an expert, then it may be best to avoid trying to rank for it. When customers first visit your site, they should get the impression that you are the one who has mastered a subject and can tell them anything and everything they need to know about it. Doing this builds trust, encourages them to come back, and ultimately increases the chances of a sale. If you really want a page on a given subject but don’t know enough about it, you could hire an independent writer to produce the content for you. Don’t shirk on the budget – the best writers (i.e. those that product the content that’s most effective at converting others) expect to be paid well and will not consider low-ball offers. The higher rate of conversions tends to justify their asking price, though, so even a high rate of pay tends to be a good long-term investment. 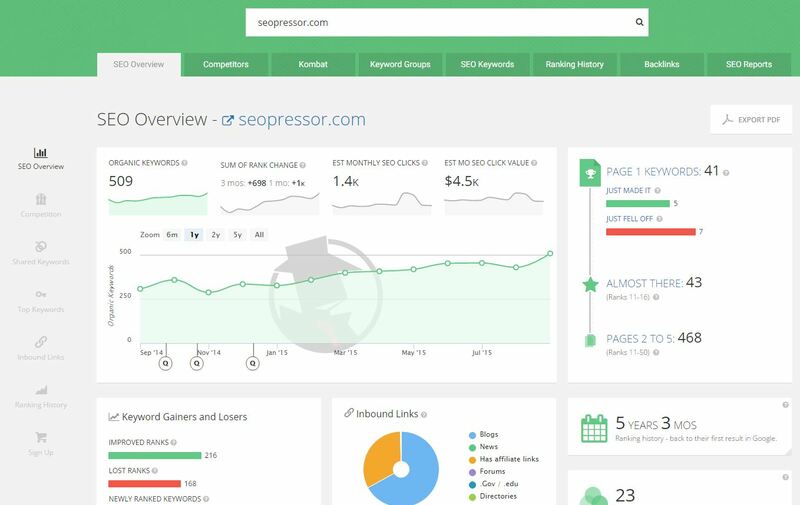 Finally, you’ll need to figure out how many keywords you’ll actually try to rank for. Most websites should aim for new keywords on a frequent basis – at least one or two new pages a week is good for growth, even if they’re just blog posts, and the real value of SEO lies in the cumulative benefits you’ll receive over time. As you can see, keyword research takes time and effort – but as long as you focus on the tools and strategies we talked about here, it’s something anyone can do. How To See What Keywords My Site Ranks For?